Circus Workshops transcend all boundaries and challenges physical limitations. It is our belief attending our Circus In Motion workshops, children and youths are given opportunities. To explore strengths in performance arts and exercise their creativity at the same time building up their perseverance, discipline and self-esteem. Our instructors are trained in sports coaching, working with youth in difficulty, as well as working with participants with special needs. They equipped with skills to handle participants with diverse needs. Our holistic approach ensures that there is continuity in the programme from the basic level to the advance level allowing the students to pick up different skill sets as they progress through the levels. Our Circus Workshops also offering “Sampler” programmes for organisations that would like to have a go at the circus. Sampler programmes can range anything from one session to any number of sessions determined by the client. Project Leap I is a 13 session programme leading to a performance. Participants get opportunities to be exposed to a variety of circus props. They would then be led to discover their strengths in a particular prop whereby specialization of the prop leading up to a performance takes place. Project Leap provides a platform for self-discovery, team work and building of self-esteem as activities pitched at a level whereby participants are likely to succeed. 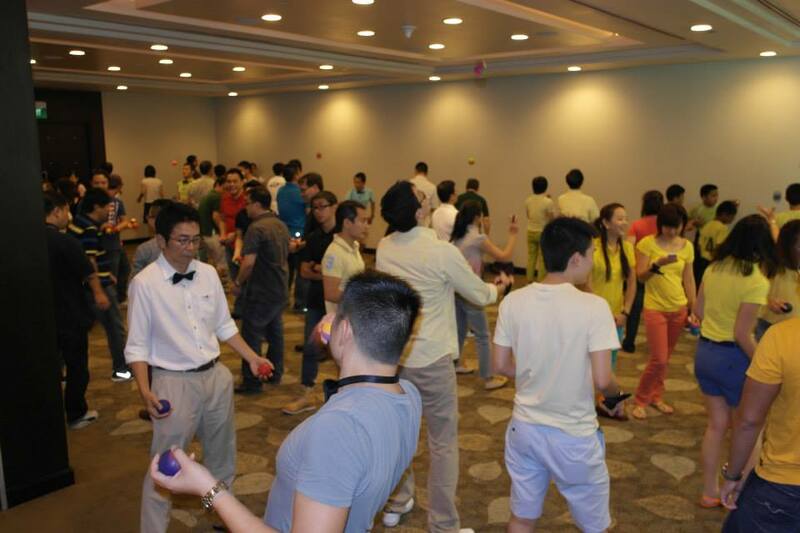 Participants get exposed 7 different types of circus skills. Exciting elements includes learning to walk on the walking globe and building human pyramids with their team mates. Participants would also start as a noob and end as a performer by doing a simple show in school. Project Leap II is a continuation of Project Leap and it seeks to equip youths. With intermediate circus skills for them to perform and handle their props more confidently. Fire twirling and intermediate manipulation techniques given to the students to help add another dimension to their performance. Participants would also get to perform CIP in the form of a workshop and a performance for a Volunteer Welfare Organisation.